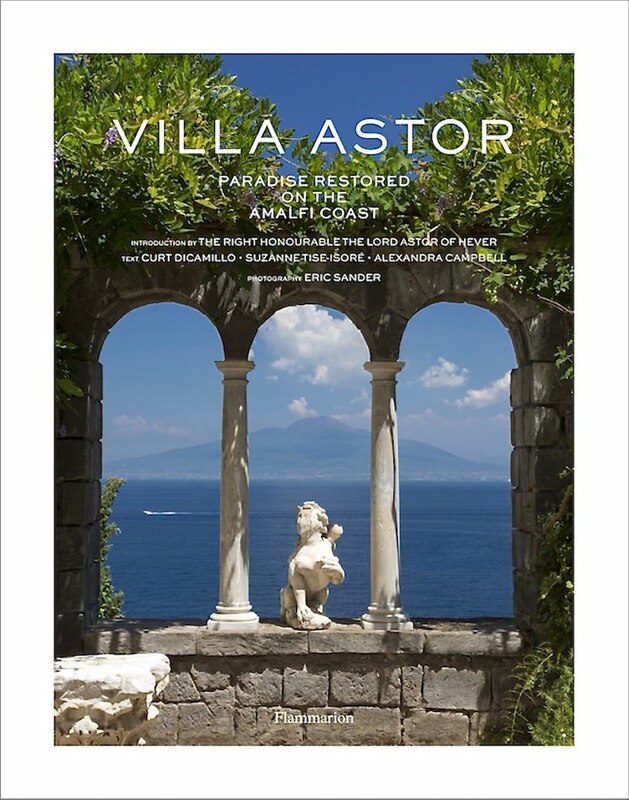 The subtitle of the beautiful new book on Villa Astor says it all – “Paradise Restored on the Amalfi Coast.” Part history, part social commentary, part architecture, interiors and gardens, this beautifully photographed and designed edition of this famous Italian landmark is as insightful as it is inspiring. 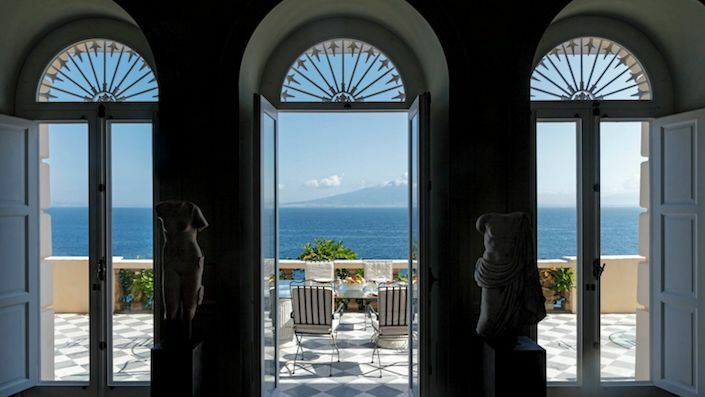 During Astor’s time traveling as a student in Italy and then as American ambassador in Rome, he had discovered the beautiful coastal town of Sorrento, where, in 1905, he purchased the villa, with its spectacular location overlooking the Bay of Naples with views of Mount Vesuvius. 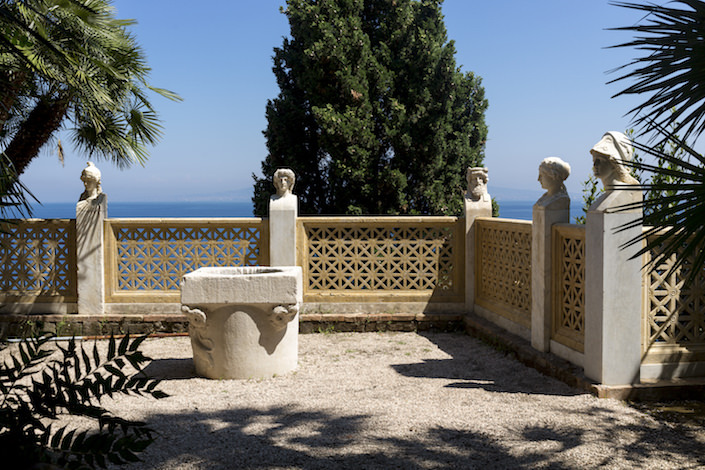 Art historian Suzanna Tise-Isoré tells of the restoration process, as he added wainscoting, parquet floors and hand-painted ceilings, amassing an unparalleled collection of antiquities for the villa and garden, including antique sculptures, architectural fragments, giant Pompeian storage jars and more. The family maintained the property until 1919. It changed hands over the decades and in the 1970’s was bought by Rita Vessichelli Pane (who writes the epilogue) and her husband Mariano, whose guest book, during their 30 year tenure, included a star studded list of intellectuals, artists, movie stars and diplomats. In 2012, the villa’s current owners hired famed French decorator Jacques Garcia to oversee the restoration and remodeling of the residence. 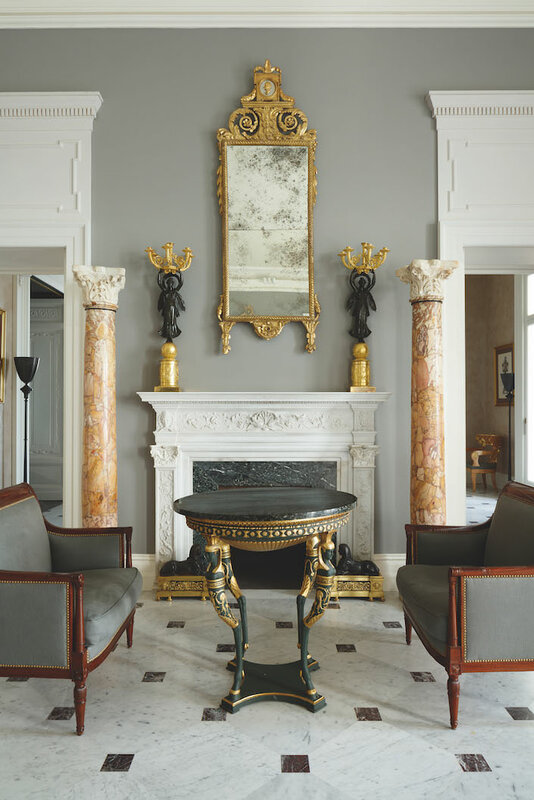 With a vast knowledge of the decorative arts, he has incorporated Astor’s extraordinary collection of antiquities with French and Italian antiques and select pieces from more modern masters into an elegant design with a nod to Astor’s legacy yet all the amenities for luxury living today. It is the final culmination of a fascinating story. Yet what hasn’t changed is Astor’s romantic vision of earthly paradise where his passion for the past, creativity and love of nature could soothe his soul with beauty and peace. This entry posted in architecture, art, art history, books, design, interior design, travel. 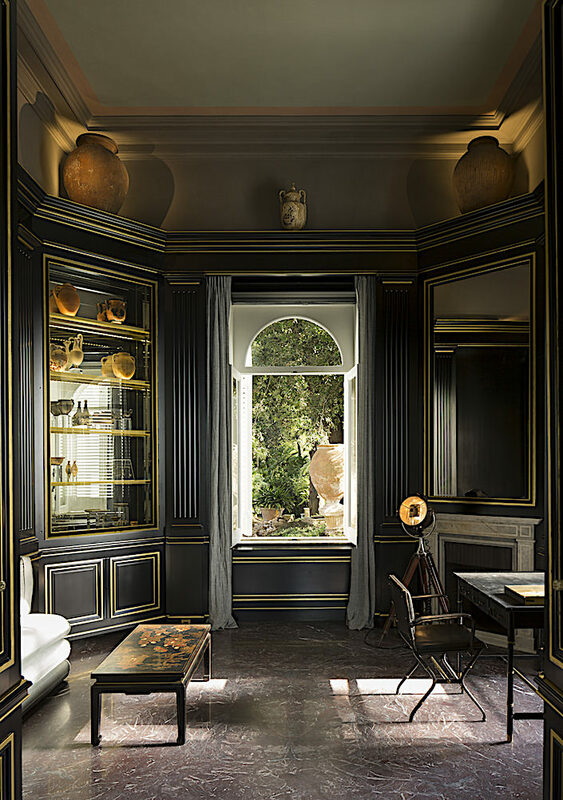 Entry Tags: Amalfi coast, Books, interior design, Italy, Travel, Villa Astor, William Waldorf Astor Bookmark the permalink. 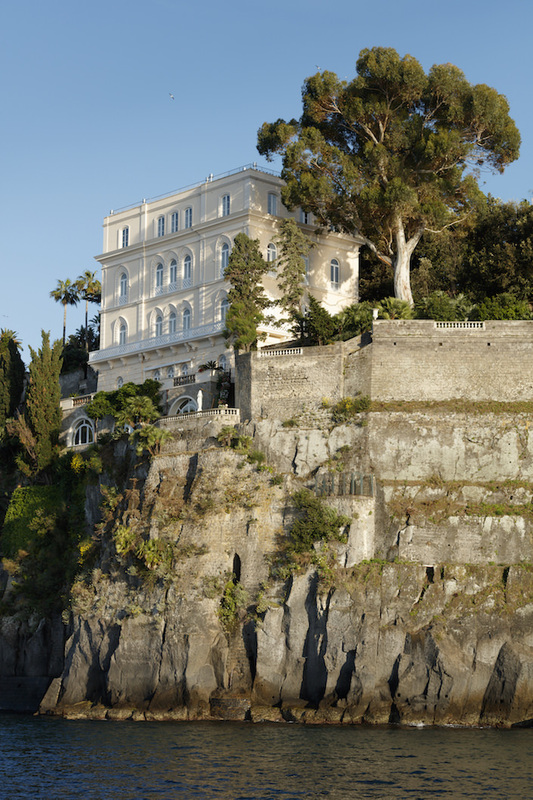 Love sorrento ” had many happy times there , I remember this villa looking very grand , but now to see in side is fabulous !! Grazie tanti for this magnificent memory shared- no place like the southern coaster! Sorrento is wildly romantic. I stayed at the 16th century Villa Tramontano when I was there, with its tiled hallways and frescoed ceilings, where Torna a Sorriento was written and Ibsen wrote “Ghosts.” It’s easy to understand why Astor fell in love with it. So pleased that the collection is still in situ. It is the loveliest book, full of eye-popping photos to go with the informative text. Co-author Curt DiCamillo can always be counted on. This house reminds me a lot of the house that built Elisabeth, Empress of Austria, in Corfu: “Aquileón” and some houses with mediterranean spirit that still are conserved in Mallorca, my island. Elizabeth spent much time in this house to overcome sadness the death of his son. Now it is not well maintained. Nice post. 82 queries in 0.547 seconds.